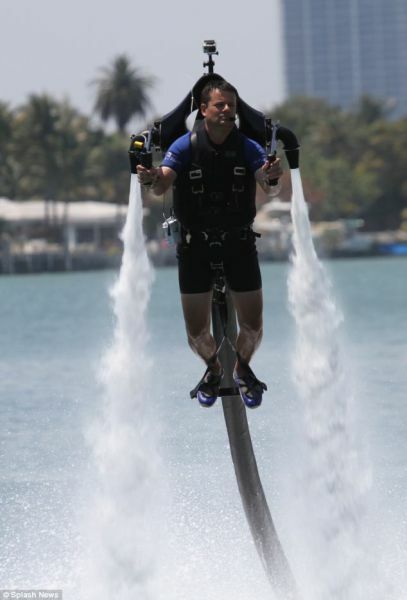 Would you like to fly through the air as if you were a superman? 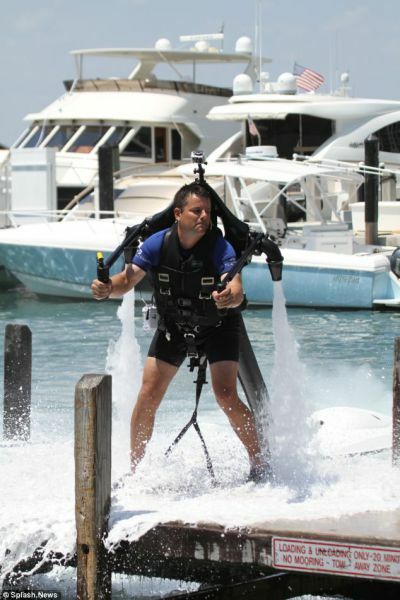 Raymond Li, engineer from Canada, spent about 10 years to design the most unusual water-powered machine that can speed your way across the water. You’ll be hovered up to 30 meters in the air. Your speed will be up to 22 miles per hour. 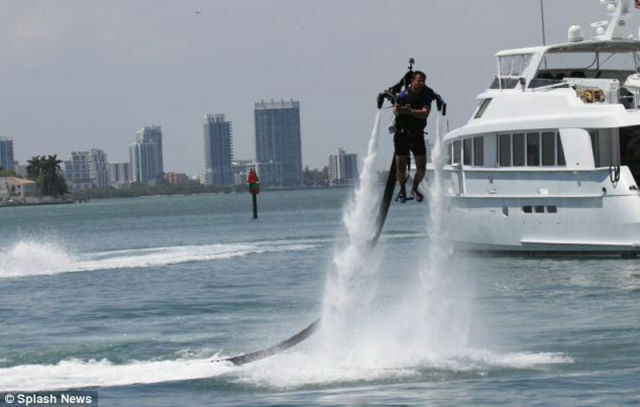 This Jetlev-Flyer costs about £110,000. 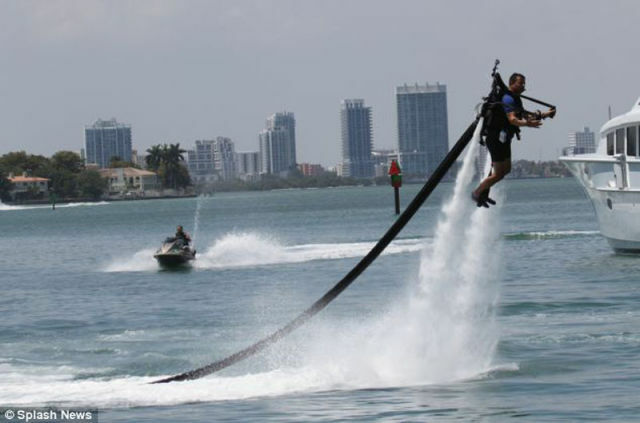 It’s been tested out in Florida where curious beach onlookers could see the pilot propelling into the air and flying across the water. 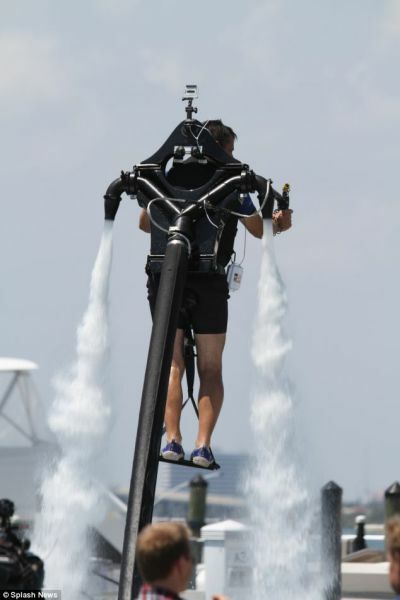 The jetpack has a 10-meter hose and an engine that is also being used as a flotation device.